Claims that the Wiltshire Core Strategy will protect countryside are paradoxical. Claims that the Wiltshire Core Strategy would create local jobs are implausible. Many existing development sites which had permission have not progressed. Wiltshire Council�s Core Strategy will create a surfeit of new development land, which would be traded on for fat profit as prime and sub-prime lots, to spoil the Wiltshire countryside to promote a counterproductive privileged wealth bubble. False starts to public consultation were announced in January 2012. Wiltshire Council followed later with a very obscure notice of the actual start of open consultation, which very few saw. 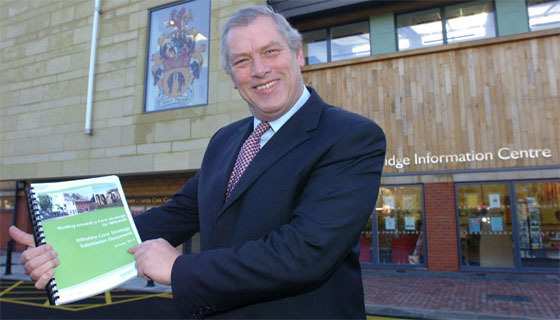 Most Wiltshire residents did not know that the Pre-Submission Wiltshire Core Strategy became available to read in late February 2012. Some were made aware in the final weeks only because of readers� letters in newspapers or summaries to members by the CPRE. WC allowed just 6 weeks for the public to study and respond, contrary to WC's own Statement of Community Involvement and WC's own Wiltshire Compact which set a standard of 12 weeks. Wiltshire Council was not being straight about it. Conservative Wiltshire Council shows us what it really thinks about society. Yet, ironically, because of Wiltshire Council's subsequent changes and then corrections by the Inspector, there have been several consultations since. During the 2013 Examination in Public, it was seen that Wiltshire Council was again employing a barrister, on top of its tiers of over-paid planners, at an extra cost of some thousand pounds an hour for Council Tax payers - wasted on spin. Conclusively, the Inspector had the rotten Eastern Westbury Bypass project (which Wiltshire Council tried to slip back in) taken out of the Core Strategy. Ruled against by three successive independent planning inspectors, it is a thoroughly defective scheme which would clearly be counter-productive.